Talk about a Hail Mary pass . . . And Sherlock returns to the business of telling stories with a protagonist you don’t want to slap (mostly) and an antagonist you want to stomp. Lots of twists and turns, surprises and reversals, huge suspensions of disbelief, but then that’s Sherlock for you. The story hold together, the conclusion is satisfying, and they’ve got me back for another season. And while the twist was a wow moment, and fascinating, it completely negated just how absolutely dangerous this man was (to me). Because if he doesn’t have actual evidence, then he clearly could have also operated as someone who was just going to make up stuff as needed. I could see how that would be humiliating for someone for whom he had enough hearsay to blackmail them, but I still struggle with those very wealthy people just giving in and not having their attorneys go after him. Having said all of that, this episode was so much better than the last two, I was willing to go along and forgive the plot holes. I think Moffat did a fantastic job of having seeded some of what was going down earlier (still doesn’t mean he’s forgiven for the earlier two). I think it was common knowledge that he had real proof in his basement; that is, they all thought he had it. Even if Sherlock went to Mycroft and said, “It’s all in his head, take him,” all he’d have needed one was devastating document in a safe deposit box somewhere. I have a problem with the idea of a memory palace holding that much stuff in that much detail, but then I bought Sherlock rescuing Irene from terrorists, so I’m not exactly the voice of reason here. You know, I intended to watch this one again and didn’t, and now that I think about it, it’s because I didn’t want to see that slime ball again, go through all that trauma with John and Mary again. It was a fairly well-crafted show, but it’s not one I’ll see again, the way I’ve seen A Study in Pink several time and have “A Scandal in Bohemia” memorized. They better get their game back next season. This one was bad. I agree with Toni. I thought that big reveal was a huge, sloppy, non-sensical plot hole… And not even an interesting one. There was no aspect of it that struck me as cool, creative, daring, a bold stoke, a clever idea, etc. I just thought it was non-sensical and also made the whole rest of the story seem pointless or misdirected. The lack of evidence for someone rich does seem a stumbling block, but then the rich don’t necessarily know he doesn’t have it on hand. Maybe part of the knowledge is knowing where the evidence can be obtained? In Mary’s case, the knowledge he had to threaten them with was the phone numbers of people looking to kill Mary. There was nothing he had to prove in courts, just info that was deadly if shared. What Toni said. But I’m still in. I miss Sherlock sitting around the palace in a sheet, though. Exactly. There was a kind of good-hearted iconoclasm in the last two seasons. This season seemed full of spite and malice, even in the places that were supposed to be fun. The more we talk about it, the more it is for me, too. I think the analogy to Murdoch was strong, and the idea that he had power beyond the information he had was there. It wasn’t just that he had info, it was that he could start a firestorm in the country any time he wanted through his papers. If he was playing ball with the gov’t, printing things they needed at times, I can see why they’d protect him. It’s creepy and wrong but logical. Apparently it was just me, but I didn’t get the impression that Mycroft really cared about this guy one way or the other. He found him useful occasionally, and he didn’t threaten the way Mycroft runs the counntry, so he didn’t think it was his problem. He only gave a damn when Sherlock threatened to stir things up. As far as putting his life in danger, I think that was a lack of understanding about who he was dealing with. The way he saw it, the British version of a SWAT team was about to show up and John and Sherlock would be arrested for taking the laptop. I think he assumed they wouldn’t kill him in front of several armed witnesses. And with someone else, that might have been a fair assumption. But, well, high-functioning sociopath. I loved a lot about this episode. Lots of wonderful tension and character moments. But a couple of glaring parts knocked me off track. First, when Magnussen and his men come to Sherlock’s flat, John and Sherlock are both searched for weapons. But they can walk into the arch-villain’s home with a gun in John’s pocket and no one searches them then?? And Mary SHOT Sherlock. In the chest – not the shoulder or leg. That was a kill shot, despite them both claiming it was not. Sherlock flat-lined. Mary betrayed John’s trust in a terrible way, and nearly made his best friend dead all over again. This was as devastating as Sherlock’s betrayal. And we really can all still be pals after that? Is there nothing that John won’t forgive? Moriarty is back. I don’t know how, but I’m delighted. Love that guy – so fun. Well, if she miraculously missed both lungs and the spine, it might not have been a kill shot. I only watching this one, wasn’t his lung collapsing? Yeah, the how did John get a gun in there bugged me, too, unless Magnussen was counting on his knowledge of men and knew that John wouldn’t kill in cold blood. I feel like I’m plugging up gaping plot holes with these “maybes”. I figured it had to be a dangerous shot to convince Magnussen, but then I think it’s all part of the “swing wide” approach they’ve been going to. The first season didn’t have this feeling of super-reality to it. More and more there’s this undercurrent of “We can do anything we want” in the writing that leaves me annoyed. I have to admit, this season just confused the hell out of me. The first two episodes were so chaotic, that I think I grabbed on to this one because it had a plot and I love these characters so much. And then as Katie pointed out, there were those callbacks that helped bring this ep in line with the first two seasons. Mostly, I think, I’m just tired of getting jacked around with this series. I undoubtedly hold it to a higher standard because of the acting talent and the first two seasons, but if those first two episodes had been on any other show, I’d still have been spitting nails. I thought John and Sherlock should have been searched for a weapon, too. Doesn’t seem logical that Magnussen was so careless about it. He’s a blackmailer, he must know people want him dead. I really hope Moriarty isn’t back, not properly at least. He shot himself in the head. I wonder if this is something he set in motion before he died? If people keep fake killing themselves (Irene, Sherlock, now Moriarity?) the show will jump the shark. I agree. Much as I love Moriarty and would love to see him back, another faked death and surprise return would be ridiculous. AND very Moffat, if you’re a DW fan. Which I am NOT anymore thanks to him ruining the s**t out of River Song and the weeping angels because he just can’t seem to let anything go. I want to believe this idea is stemming from a smart, well-plotted idea to mess with the idea of alive/dead but right now it smacks of lazy storytelling. It’s the drama genre version of why I hate comedy movie sequels that assume we’re a dumb enough audience to laugh a second time at the exact same joke. The Weeping Angels were one of those ideas that works beautifully if you don’t look at it too long. And then he looked at it too long. The thing about Moffat that makes me crazy is that he can write something as abysmal as the Matt Smith finale and something as glorious as the 50th Anniv show. He writes something as perfect as “A Scandal in Belgravia” and then cowrites “The Sign of the Three.” You can’t knock ’em all out of the park, but jeez . . .
Arrow is screwing with this not-dead-yet trope, too. Somewhere there’s a Lazarus Pit and both shows are using it with the result that death just isn’t the downer it used to be. I love Barrowman, but I was really disappointed in them for not leaving him dead. I don’t know much about the comics and the Lazarus Pit (I have vague childhood memories from the Batman cartoons), but one of the things I like about Arrow is it’s more real-world vigilante approach, and the “death is an illusion” thing felt like cheating. “Dead” by explosion or falling into a body of water on TV is basically a neon sign that says “Still Alive,” but stabbed in the chest is supposed to mean real death. Don’t forget if you drink snake venom it’ll be okay because herbs. Haha, yeah that was pretty bad. At least before, you had to pass out for a while after drinking the super herbs. Yup what everyone has said. They kinda lost me with Mycroft warning Sherlock off. Mycroft, who has all those resources at his disposal, fell for this guy’s patter? I think they tried to be too clever. I haven’t given any of this season’s episodes a second viewing. All of the above is why I’m on the fence about the next season. It’s already been mentioned here that Mary and her baby die in the Doyle books. 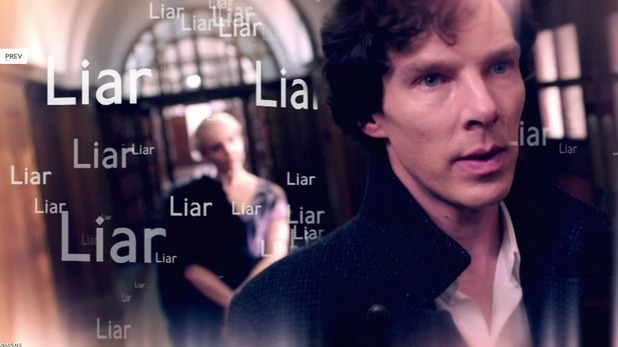 After watching this season’s hot mess I don’t know if I can trust Moffat and Gatiss anymore. I liked Mary too much and I don’t think I could bear to watch them put John through the ringer with this kind of writing. I’m over here in the corner having a Pushing Daisies weekend marathon. Excellent idea. I must rewatch that. I need to watch this again, because there are plot issues, and I don’t remember it clearly enough to discuss them. But there are other impressions I wanted to talk about. There were a couple of things about this that struck me as call-backs to “Study in Pink,” and I really enjoyed that aspect of it. First, John and his risk-taking behavior. He starts this episode trying to live like a normal, boring person in the suburbs, and raids a crack-house because he can’t take it anymore. Parallels his arc from normal, boring life to chasing a serial killer through London in “Pink.” Then Sherlock explaining to him, of course the woman you love is an ex-assassin, you chose her – reminds me of Mycroft telling him he missed the war. I feel like this is John coming to terms with that part of himself again after trying to be normal for the two years without Sherlock. Second, Sherlock’s “Do your research, I’m a high-functioning sociopath” line. Direct and deliberate call-back to the first episode. And I like the way they used it just before he shot Magnussen – I think this was a way of demonstrating his arc over seasons one and two (I’m not counting the other episodes in this season in this). He’s still in many ways the same man he was in the beginning, but he has strong bonds with other people now, especially John. Donovan said one day they’d be standing over a body and Sherlock Holmes would have put it there, and her prediction came true, but not in the way she meant. She said he would kill because he would get bored and need a new thrill. But instead he killed to protect the people he loves. Granted, he shot a man in cold blood (like I said, still in many ways the same), but the motivation demonstrates how much he’s changed over the course of the series. So yeah, there was a lot about this episode I liked. Plot holes or not, it might very well have saved Sherlock the character for me after the damage “The Empty Hearse” inflicted. I liked the same things in the episode that Katie liked. I really enjoyed these character interactions, and the continuity/development arising out of things previously explored. In particular that John craves excitement and danger–and that this is a big part of why he was drawn to Mary, though he didn’t realize it. I also really liked the friendship between John and Sherlock here (which was just an annoying, ham-fisted parody in The Empty Hearse). John’s exasperated protectiveness of Sherlock, Sherlock’s insights into John (and why he chose Mary), the way Sherlock is able to communicate to John that Mary’s the one who shot him, their mutual loyalty. And I like the relationships with Mary, both John and Sherlock’s attachment to her (in their different ways), and the big reveal about her.I also really liked the scene where Sherlock and Mycroft share a cigarette, particularly the conclusion when–stiff upper lip, back turned to Sherlock–Mycroft admits how much Sherlock means to him. And I liked that Sherlock was on a CASE in this episode and that the story mostly focused on his pursuit of the case. After the last two eps, I was starting to wonder if detecting was just a part-time sideline for Sherlock, for whom annoying antics seem to have become the true profession. That said… I nonetheless thought the whole ending of this episode was a hot mess: the empty cellar, the shooting, putting Sherlock on a plane, bringing Sherlock’s plan back… I thought ALL of the ending was very, very disappointing. THIS, exactly. The best part of “Sign of Three” (and I mostly enjoyed myself despite the flaws), was the interrogation of the Mayfly victims, and that was because it was Sherlock being a detective. I spent all of “Hearse” waiting for him to actually work a case; that on top of the horrible character stuff was just adding insult to injury. This is great, I hadn’t seen any of this. Both this episode and “Pink” were written by Moffat, so I can see him continuing the arc. I think he does the same thing with his episodes of Who during the Davies years in smaller ways, like referencing the dancing metaphor and the bananas in “Girl in the Fireplace.” There’s a part of me that wishes he would just write one Sherlock TV movie every year, and that’s all there would be, just so the characterization and the quality would be consistent. Maybe it’s because he wrote the first episode, and it made such a strong impression, but sometimes in the episodes he doesn’t write, it just feels off. “Hounds,” yes, but “Hearse” was just terrible; the whole episode felt like character violation, and I wonder if it’s because Gatiss just doesn’t see Sherlock, or Sherlock and John’s relationship, the same way Moffat does. Still, they’re show-running it together. You’d think they’d influence each other more, pull back on each other’s more egregious tendencies. That’s why “Hearse” was such a surprise, because the opposite seemed to happen this season. Well, there probably won’t be more for a couple of years, maybe they’ll be back on track by then. I agree, it always seems to me like the Gatiss written episodes are from an entirely different show. “Hearse” was particularly bad this year. The scene with the bomb was a total character violation. It makes me wonder what happened since “Great Game,” which doesn’t have that same slightly wrong feeling to it. The cliffhanger was stupid, but Sherlock was still Sherlock in that episode. 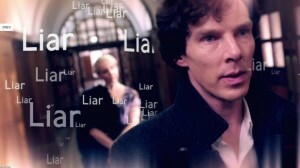 Did anyone else rewind the Empty Hearse to see the moment Sherlock noticed Mary was a liar? It was Sherlock at his best, loyal and forgiving, he literally came back from the dead, because he knew John was going to be in danger. He let John see for himself what Mary was and he forgave her for shooting him (something he had to do, so John would even consider it) Then he made John use his approach to deal with who Mary was, it was cold and logical, but it meant John was listening, he was involved. The most heartbreaking moment was when John said “She wasn’t supposed to be like that!” However much attracted to danger he was, consciously he wanted to be with someone normal. Just because your subconscious means you picked out a romantic receptionist who’s a ruthless assassin, doesn’t mean it isn’t completely devastating when you come face to face with it. Pretty much my take-away from each episode this season. Flashy, gimmicky and absolutely irrational, despite all the post-game rationalizations. Their “game“, as they say, is OFF.